Why plucking grey hairs is bad and other facts about grey hair colour. No, you shouldn't pluck out grey hairs. Here's what to do instead. You might’ve found your first grey hair doing your makeup in natural light or trying out a deep side part. A few days/months/years later, you probably noticed a couple more. You’re still young, you told yourself while examining a single silvery strand in the mirror. The best years are ahead of you. 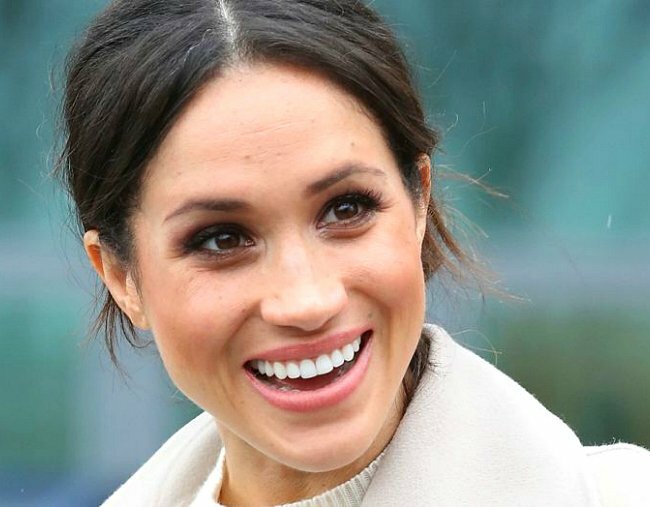 Then one day, you were practically Meghan Markle walking out the door with everyone in the entire galaxy fixated on your one pesky, wiry grey hair… like we were on Mamamia Out Loud. Truth is, we’ll all start to go grey at some point in our lives. You might’ve already started. While there’s nothing wrong with having one hundred grey/white hairs, for many of us, the mere sight of one gives us a strong urge to pluck it out immediately. But does plucking those grey hairs solve the problem or make things worse? And if you can’t pluck them, what can you do if you’d rather they not exist? To find out, we asked a trichologist (a.k.a hair doctor) to explain everything you need to know about grey hair, whether or not you should pluck them and what to do instead. You might want to put the tweezers down for this one. What makes grey hair grey? Put simply, grey hairs only have a little bit of pigment (colour) left in them. White hairs are completely void of any pigment. Specialist Trichologist Anthony Pearce said this loss of pigment occurs within the hair follicle, which is why greys tend to turn up and stay in the one spot, rather than popping up randomly each time you pluck. “Chronological ageing results in a progressive reduction of pigment-causing factors within the hair bulb, including melanocyte function (the cells that produce the pigment, melanin) and tyrosinase production (an enzyme that stimulates the production of melanin),” he told Mamamia. Without the fully functioning production of melanin in your hair follicles, the hair that grows from that follicle will have reduced pigment, or none at all. Pearce also said true grey or white hairs are caused in most cases by the ageing process. In younger people, ‘grey’ hair is generally a stronger mixture of white (non-pigmented) and your natural pigment. For example, redheads might find their ‘greys’ are actually a strawberry blonde colour. When will you ‘go grey’? When you will start going grey depends on your genetics. In most cases, it’s predetermined. Pearce said the average Caucasian will start seeing an increase in grey or white hairs around age 34, between 34-40 for people with Asian heritage and 43 for people with African American heritage. You’ll also notice them towards the front of your head around the temples first. Not because you can’t see the back of your head (well, that too), but because greying typically works from front to back. Jennifer Lopez says she started going grey at 23. How amazing does her hair look? Image: Getty. By definition, premature greying is the onset of greying before the age of 20 in Caucasians and before 30 in people with darker skin. Pearce explained a few factors are involved in premature greying. "There is a strong correlation between the premature greying of hair and autoimmune conditions," he said. Each can present differently - for example, a vitamin B12 deficiency may result in sandy grey hair colouring, whereas a copper deficiency can result in white unpigmented hair. Another common concern is the overnight or rapid greying of hair following a traumatic event. There&apos;s no strong evidence to suggest stress can cause you to go grey overnight, unless you are genetically predisposed to premature greying. Stress can cause shedding or hair loss though, New York trichologist Elizabeth Cunnane Phillips told Huffington Post. Pearce added this can also result from a form of alopecia areata - an autoimmune condition - where "selective breakage and shedding of pigmented hair occurs, leaving behind only unpigmented or white hairs." Should you pluck grey hairs? "NO," Pearce said in response to this question, which we&apos;re sure he gets asked every single day. As for why you shouldn&apos;t pluck out your greys, it&apos;s got nothing to do with the old wive&apos;s tale you&apos;ve been taking as truth. "It&apos;s a myth that grey hairs will grow back thicker or that there will be more of them. The pace of greying is multi-factorial and genetically determined." "Grey hair will just regrow the same way from that follicle (that&apos;s where the lack of pigment originates). Continually plucking will traumatise the follicle so eventually, it won&apos;t produce hair at all." Over time, excessive plucking or pulling of grey hairs - or any hairs - can lead to hair loss or thinning in places. Side note - if you&apos;ve ever felt bad about grey hairs, this brilliant video will put things into perspective. Post continues after video. So if not pluck, what is one to do about their grey hairs? You have three options: dye your hair, cut your grey hairs or let them roam free. Neither dying nor cutting your hair will cause any permanent damage to the hair follicles. If you&apos;re going to try snipping your greys off, be sure to use small, sharp scissors and not trim too close to your scalp to avoid breaking the skin. Then there&apos;s the third option. If you don&apos;t fancy dying or cutting your greys away, you could always just embrace them. Are you self conscious about your grey hairs? If you are, how do you cover them up?